Over the weekend a little parcel of goodness dropped through my letterbox & to my surprise it was one of the new sleek make up palettes which i squealed at excitement too as i ripped open the envelope! 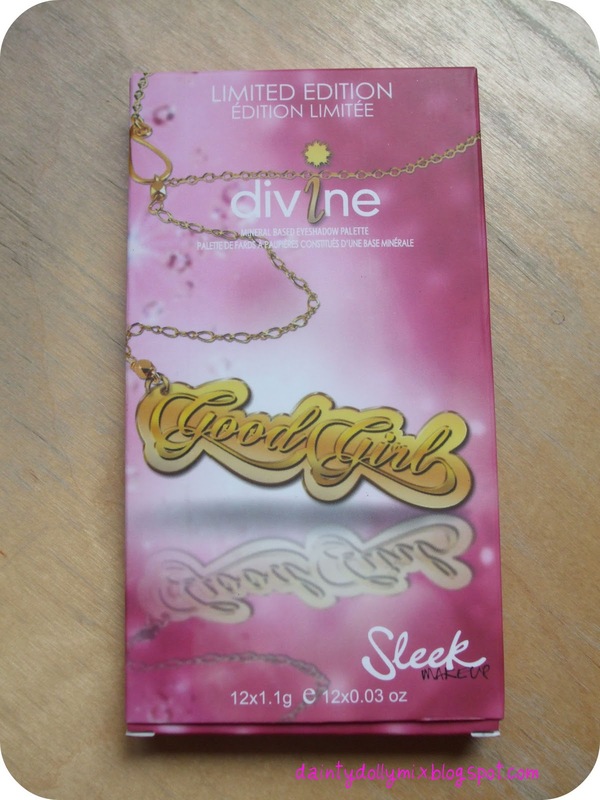 I received the 'Good girl' palette which is full of girly pink, peaches and reds. Love! I adore sleek make up palettes, you get 12 amazing quality eyeshadows for the wonderful price of £5.99! As you are probably aware i like to keep my eye make up safe & neutral so this palette is slightly out of my comfort zone but i will be definitely making use out of these colours and using them as blushes! To my surprise, this time around the eyeshadows are named, and have cute girly names that correspond with each eyeshadow! I will let the pictures do the talking.. This palette is Limited edition and launches on the 27th October. You can pick yours up from the Sleek Make-up website or from Superdrug stores or their website for £5.99. Are you a sucker for Limited Edition? Will you be picking up this palette & adding it to your collection? @Pyxiee: Thanks for your comment hun :) I could never use pink on my eyes, seems a little tooo girly for me but think it could most definitely work as blush! With a couple of the colours used as highlighters!& im also a sucker for Limited edition ;)! 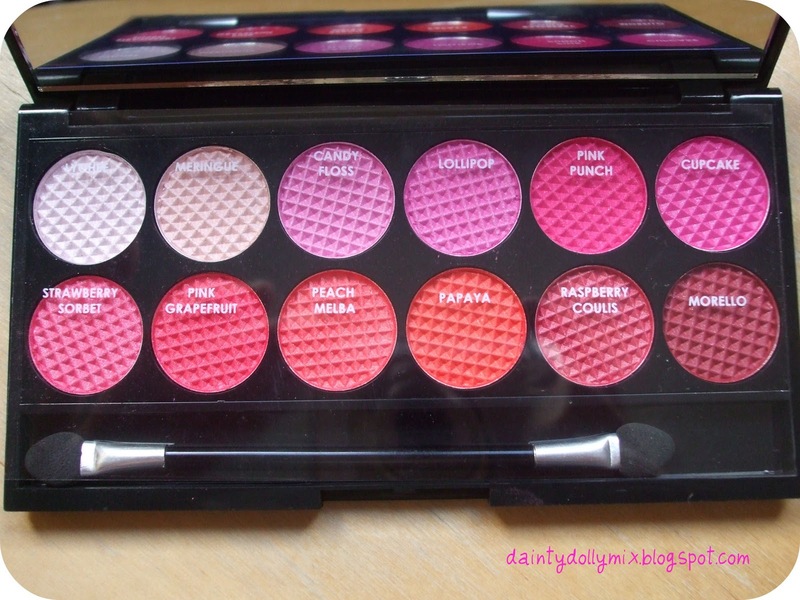 I think id rather have the bad girl pallette as personally the pinks all look the same and the other one has a bit more variation, but for limited edtion a great buy! Can't say that I'd use these colours on my eyes very much, but thanks for swatching as I'll deffo go for the Bad girl one, I hope they don't sell out too fast!! 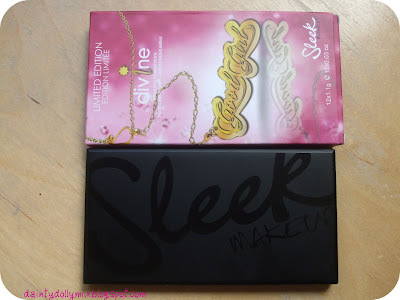 Don’t forget to enter my giveaway @ Click&Make-Up! Too pink for my liking! But the blush idea is very good! LOL I reckon their other palettes beats this any day! Oooooooh its so cute! Will def be getting a couple for friends and family! Great post! Compliments your skin really well. I, on the other hand, have darker Asian skin. I wonder if there's a palette suitable for us as well? 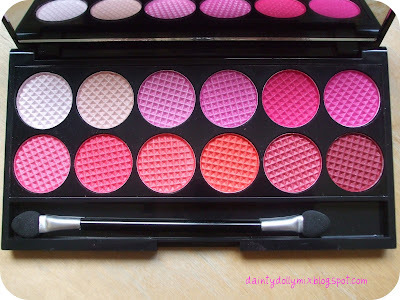 I've just seen this on another blog, and I dont think I could buy it due to the fact that I just dont like pink shadows! I do love a limited edition though! Have you found that any of these colours look good? I have the Sleek Storm Palette which I love. I lovvveeee your blog ! It's so colorful and good to watch ! So cute, wish we had it here!